She'll be pouring you a cup and saying, "Hello, how ya been?" Desi Oakley (Les Misérables, Evita) will star as Jenna in the national tour of Waitress. The touring production of the hit Broadway musical will launch at the Connor Palace—Playhouse Square in Cleveland on October 17, before making stops—and serving up pies—in cities all across the country. 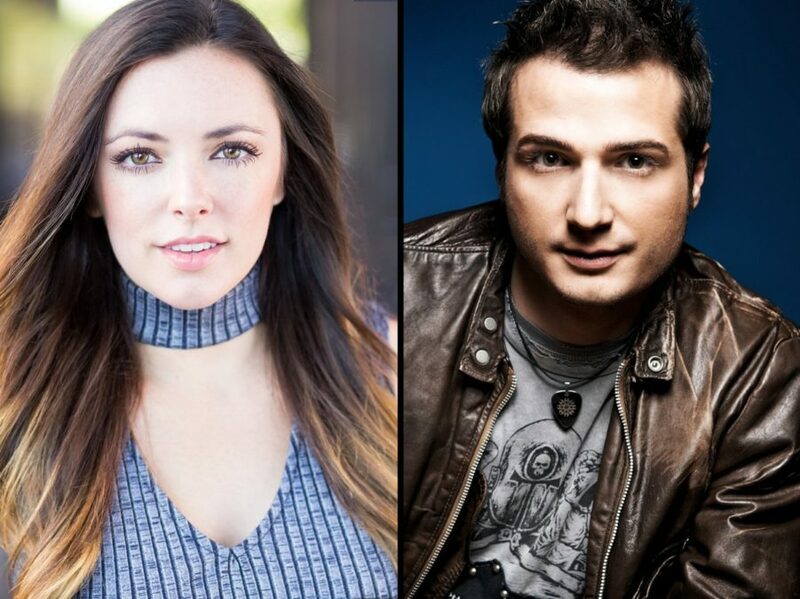 In addition to Oakley, the cast of the Waitress tour will feature Bryan Fenkart as Dr. Pomatter, Lenne Klingaman as Dawn, Nick Bailey as Earl and Ryan G. Dunkin as Cal. They'll be joined by current Broadway cast members Charity Angél Dawson as Becky, Larry Marshall as Old Joe and Jeremy Morse as Ogie. The ensemble includes Skyler Adams, Law Terrell Dunford, Patrick Dunn, Jim Hogan, David Hughey, Arica Jackson, Kyra Kennedy, Emily Koch, Maiesha McQueen, Gerianne Perez and Grace Stockdale. Directed by Tony winner Diane Paulus and featuring a score by six-time Grammy nominee Sara Bareilles, the musical is based on the 2007 film by the late Adrienne Shelly, and follows Jenna, a waitress and expert pie maker, who dreams of a way out of her small town and loveless marriage. A baking contest in a nearby county and the town's new doctor may offer her a chance at a fresh start, while her fellow waitresses offer their own recipes for happiness. But Jenna must summon the strength and courage to rebuild her own life. The musical's score includes such popular songs as "Opening Up," "What Baking Can Do," "You Matter to Me" and "She Used to Be Mine." Waitress made history as the first Broadway musical to feature an all-female creative team; in addition to Bareilles and Paulus, on board are book writer Jessie Nelson and choreographer Lorin Latarro. The Broadway production was nominated for four 2016 Tony Awards, including Best Musical and Best Original Score.